From there, Malört began to find traction in Chicago with drinkers posting videos of their first taste (and often dramatic response to it) on Youtube. Jeppson’s Malört quickly became a staple at Chicago beer bars and was often paired with a Session beer. Although word of Malört spread beyond Chicago (we even ran a review of Jeppson’s Malört investigating the phenomenon), the core enthusiasm and consumption has remained contained within the Chicago city limits. Chicago is home to a number of fantastic craft distillers, and when word that a very bitter spirit was catching on in local bars, craft distillers did what craft distillers do: many created their own riff on the bitter spirit. Many of these riffs have been limited to tasting rooms and unofficial sample bottles as Jeppson’s Malört, although a small company has tried quite forcefully to lay legal claim to the Malört name. 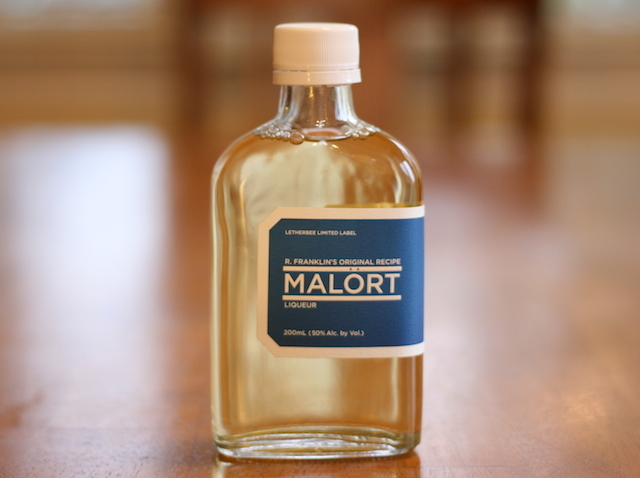 R. Franklin’s Original Recipe Malört (50% ABV / 100 proof, $20 per 200 ml) – The folks over at Letherbee Distillers set out to do something interesting with their Malört: take a spirit which is widely seen as a horridly bitter and challenging experience, and elevate it. It may seem like a fool’s errand, but these are the kinds of things that craft distillers do, and it’s one of the qualities we adore about them. R. Franklin’s Original Recipe Malört has some of the same core ingredients as Jeppson’s Malört, namely neutral grain spirits, wormwood, and a sweetening agent. Letherbee’s adds a number of botanicals to the mix to help round it out and support the extreme bitterness, including grapefruit peel, juniper berry, elderflower, and star anise. Pale yellow in color, R. Franklin’s Original Recipe Malört doesn’t smell at all like it’s a bravado shot. Light citrus combines with a deep rootiness, light pine from the juniper, and light, sweet flowers. At 50% alcohol there is a slight vapory quality to this Malört, but it’s not nearly as fiery as we expected. The entry is surprisingly light and sweet with the juniper notes leading the charge along with the slightly bitter grapefruit peel which tastes more like the pith than the skin. Then it hits – WORMWOOD! It’s like having a jack-in-the-box in the glass – it leaps out of the core of this spirit with an intensely bitter punch. There’s no way around it, the bitterness here is some of the strongest bitter we’ve tasted. For some, one sip will be all they need to never sip this again. Unlike Jeppson’s Malört, the bitterness isn’t the whole story. The flavors apparent in the entry sustain through the monster bitter punch and then continue all the way through to the finish. 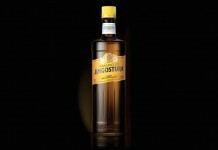 The finish is an extremely bitter wormwood that sticks in your palate for literally hours. While not nearly as long as the bitter wormwood, the clear juniper and citrus notes do linger for quite a while on the finish as well. It’s hard to say that something this punishingly bitter is good, but R. Franklin’s Original Recipe Malört manages to find the beauty in the beast. For what it is, it’s an excellently crafted product. Beyond the bravado shot, R. Franklin’s Original Recipe Malört does actually mix (coincidently very well with Letherbee’s Gin) especially in drinks that help temper the extreme bitterness. R. Franklin’s Malört also pairs well with a Session beer, especially lighter Belgians, where the lingering bitterness goes well with the sweet and spice of the beer. 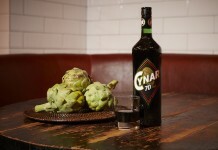 Originally made for The Violet Hour, a popular Chicago craft cocktail bar, R. Franklin’s Original Recipe Malört is now being sold to the public and is available online at DrinkUpNy.com.